Auction Ends May 15th. 2:00 P.M.
A great opportunity to add to your current operation. Offered in 2 parcels and as a whole. 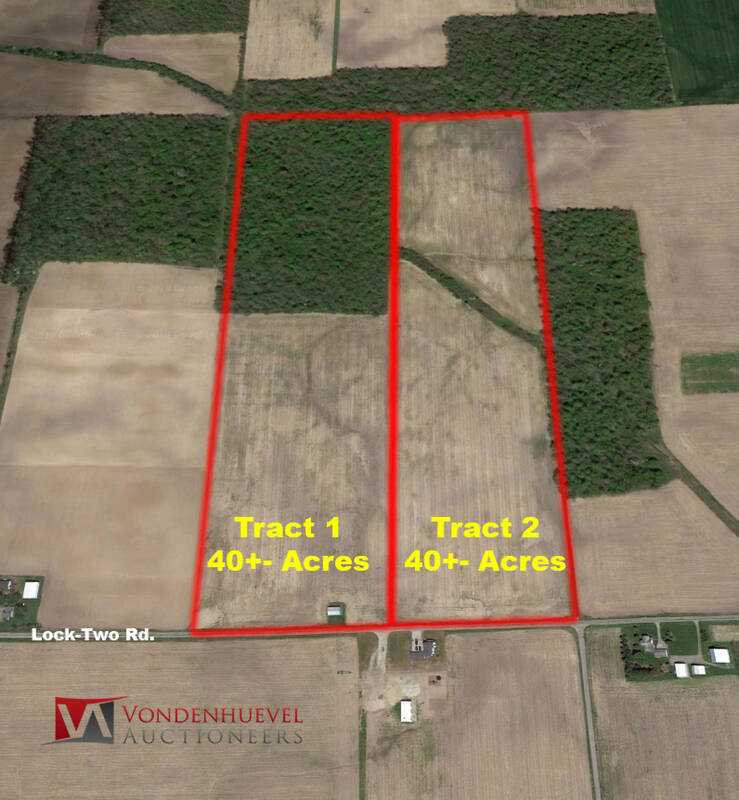 60+- acres tillable ground with 20+- Acres of mature timber. Buy at your price. First Round Individual bidding will open Monday May 13th. 9:00 a.m.
Auction will begin Ending Wednesday May 15th. 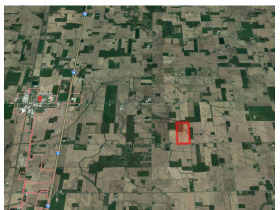 2:00 P.M.
Real property is located in Shelby County Ohio, Dinsmore Township. Shelby County Parcel # 10-05-01-300-001 to contain a total of 80 acres MOL with all improvements. Property will be surveyed to create two equal lots of 40+- Acres. Property is being offered using the Multi-Parcel Bidding System. AUCTION PROCEDURE: First Round of On-Line bidding for Individual Tracts will open Monday May 13th. 9:00 a.m. Second Round Combination Bidding will Open Tuesday May 14th. Noon with Auction Soft Close Wednesday May 15th at 2:00 P.M. Auction will remain Open and Active until all bidding has remained silent for 15minutes. Should you require bidding assistance please contact the office at 937-492-1078 during normal business hours. BUYER’S PREMIUM: A 4% buyer’s premium will be charged. This buyer’s premium will be added to the final high bid to determine contract price. DEPOSIT: $ 20,000.00 per Tract/Parcel shall be required within 24 hours of the close of the auction as good faith earnest money. Payment shall be in the form of a Cashiers check. This deposit shall be made payable to Lawyers Title Agency Sidney, Ohio and will be held in Escrow until successful closing at which time it will be returned to the buyer. ACCEPTANCE OF BID PRICES: The successful bidder will be required to enter into a NON CONTINGENT MEMORANDUM OF AUCTION SALE AGREEMENT within 24hrs after close of the auction. This shall take place at Vondenhuevel Auctioneers LLC 135 South Wilkinson Ave. Sidney, Ohio 45365. Your bidding is considered to be a binding contract. TITLE: Title Shall transfer to to owner in the form of a General Warranty Deed. POSSESSION: Possession to the property shall be granted at closing. All fixtures, personal property, as well as any and all debris remaining in the building at the time of possession shall become the property and responsibility of the purchaser. Present owners nor auctioneers assume any responsibility for any remaining items located in or on the premises. REAL ESTATE TAXES/CONVEYANCE AND DEED STAMPS: Real estate taxes and assessments shall be pro-rated to the day of closing. Buyer shall pay all applicable conveyance fees and deed stamps as required for transfer. SALE CONTINGENCIES: This property is being sold with owner confirmation and is subject to No Contingencies of any type including financing. DISCLAIMER AND ABSENCE OF WARRANTIES: The property and all fixtures are being sold on an AS-IS WHERE IS BASIS with no warranty or representation, either expressed or implied, concerning the property. Buyers are responsible to perform due diligence and have those results satisfactory to their expectations before bidding. 1. Bidders must do all of their due diligence (home inspections, appraisals, etc.) prior to the end of the online bidding. The Sales Contract will not contain any contingencies for these matters. This property is sold AS IS, WHERE IS, and is not subject to any financing. 2. The winning bidder must sign a Memorandum of Auction Sales Contract and deposit with Lawyers Title a down payment in the form of cash or check no later than 24 hours after the end of the online auction. This transaction shall take place at our office located at 135 South Wilkinson Ave. Sidney, Ohio. 9. If a residential structure is located on the property that was built before 1978 the winning bidder will be signing a Lead Paint Hazard Disclosure Statement and will waive the opportunity to conduct a risk assessment or inspection for the presence of lead based paint and or lead based hazards inspection under Federal and Ohio law. The winning bidder agrees to sign the Lead Paint Hazard Disclosure Statement. 11. The Winning bidder will sign the Memorandum of Auction Sale. A copy of the Memorandum of Auction Sale is attached to auction handout. 12. The property will be auctioned in an “AS-IS, WHERE-IS” condition as of the date and time of sale. Vondenhuevel Auctioneers nor the seller(s), their agents, employees or representatives make any expressed or implied warranties of any kind concerning the property and this sale. 13. The information listed in materials describing the property is obtained from sources, which are deemed reliable, but not guaranteed. It is the bidder’s responsibility to verify all property information prior to bid and sale. The decision to purchase or not purchase the property is the sole and independent business decision of each bidder. Auctioneer assumes no responsibility for the condition or property or for the performance of this Contract by any and all parties. Purchaser hereby warrants and represents that Auctioneer has not made any statements, representation or warranty regarding the condition of the premises, zoning conditions, governmental requirements or environmental matters, guarantees or warranties of the like, upon which Purchaser has relied and which is not contained in the Contract. Vondenhuevel Auctioneers shall not be responsible or liable in any way if the owner fails to honor the bid, or refuses to settle or cannot close in accordance with the Sales Contract. 14. Vondenhuevel Auctioneers reserves the right to withdraw any property from sale and may cancel any auction sale prior to the start of bidding. 15. Bidding increments are made in amounts acceptable to the Auctioneer, who may set a minimum bidding increment as the sale progresses. Any bid may be rejected by the Auctioneer if it is merely nominal or, at his or her discretion, it may negatively affect the auction process. Auctions will be either Absolute or Reserve. If this is an Absolute Sale, the high bidder shall be the Purchaser. If this is a Reserve sale the seller may accept or reject the high bidder, however; if the bid exceeds the predetermined Reserve Price the auction will become an Absolute auction and will be sold to the high bidder. 16. In the event of a dispute between bidders the Auctioneer in its discretion may determine the successful bidder or re-offer the property for sale. 17. The winning bidder of the sale must sign the sales contract and all applicable forms relating to the sale upon completion of the Auction.  At that time an initial deposit will be due from the Purchaser in certified funds. 18. A Buyer’s Premium in the amount of 4% will be added to the high bid and will be due from the winning bidder. The Buyer’s Premium is in addition to the winning bid, and when added together with the winning bid this figure represents the Final Purchase Price to be paid by the purchaser at settlement. 19. Settlement is to take place within Thirty (30) calendar days of the auction sale date. Purchaser should secure any necessary financing and select a settlement agent or attorney immediately. 20. By bidding at an auction, whether present or by agent, by written bid or otherwise, bidders shall be deemed to have consented to the jurisdiction of the State and Federal courts of the State of Ohio. 21. Cost of all documentary stamps, transfer taxes and other costs incident to settlement to be paid by the purchaser. 22. If the property is tenant occupied, it will be sold subject to existing tenant in dwelling. 24. Vondenhuevel Auctioneers may accept telephone bids from registered bidders. Phone bids will be placed online under the name of “Phone Bidder”.